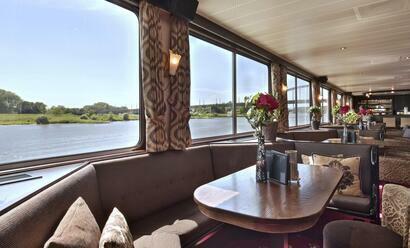 The Azolla has room for 90 passengers on its three decks. 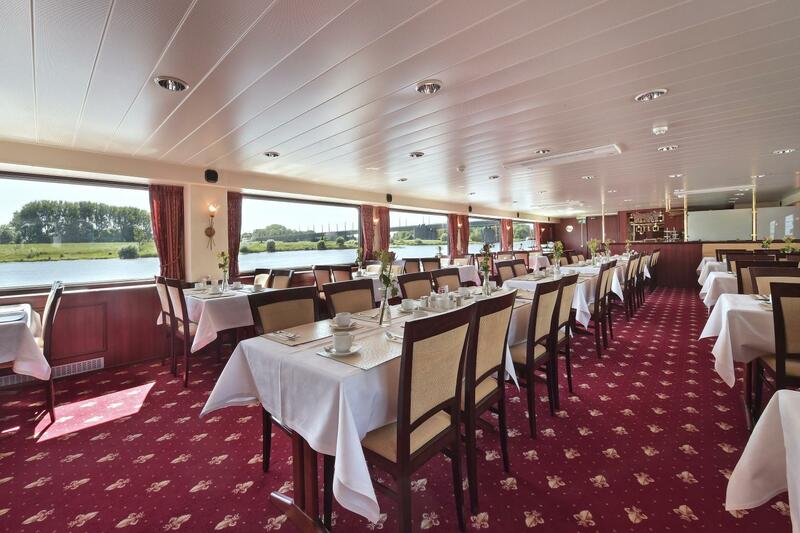 The ship is not that big, so it can also sail on the smaller waterways. 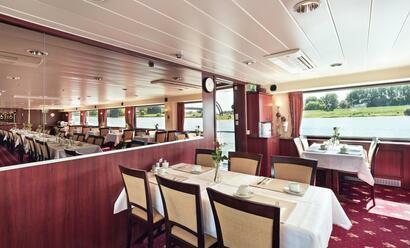 This flexibility and the relaxed atmosphere on board make the Azolla a favourite among many travellers. 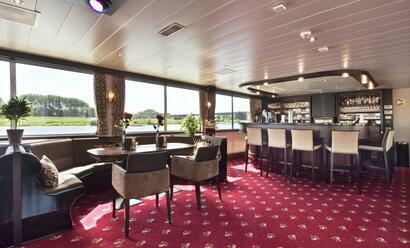 From the Promenade Deck you can get to the Sun Deck by stairs or stair lift (max. 125 kg). 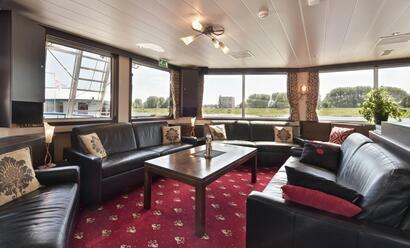 Cabins 20 to 42 on the Main Deck can also be reached by stairs and stair lift (max. 125 kg) Cabins 1 to 17 can only be reached by stairs. 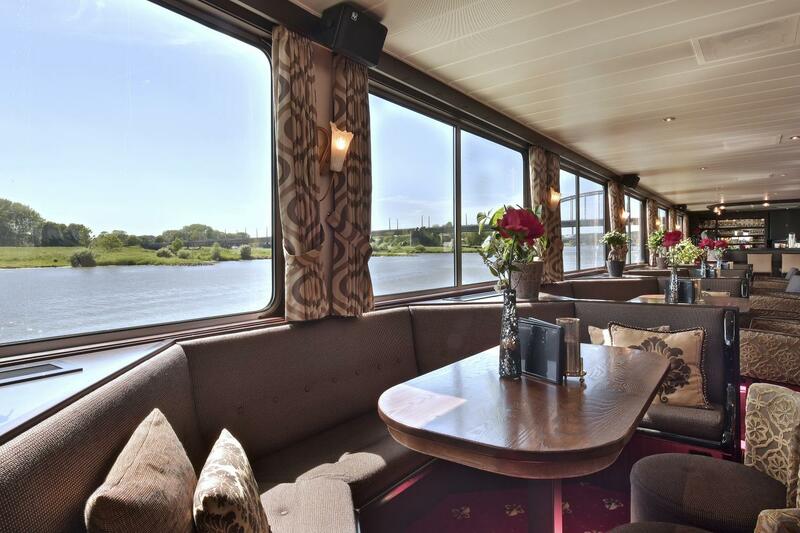 All cabins on board fitted with a shower, toilet, television, safe, plenty of storage space and adjustable air conditioning that you can adjust yourself. 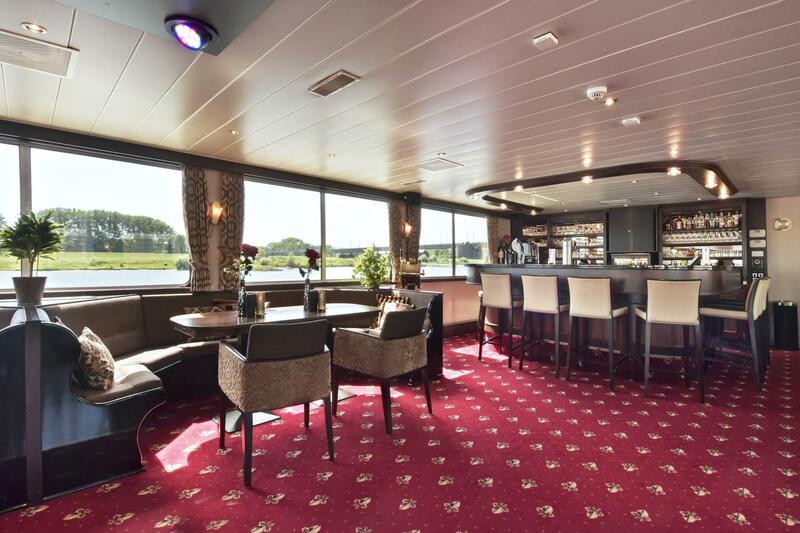 The B cabins on the Main Deck are a fraction smaller than the standard 2-person cabins. 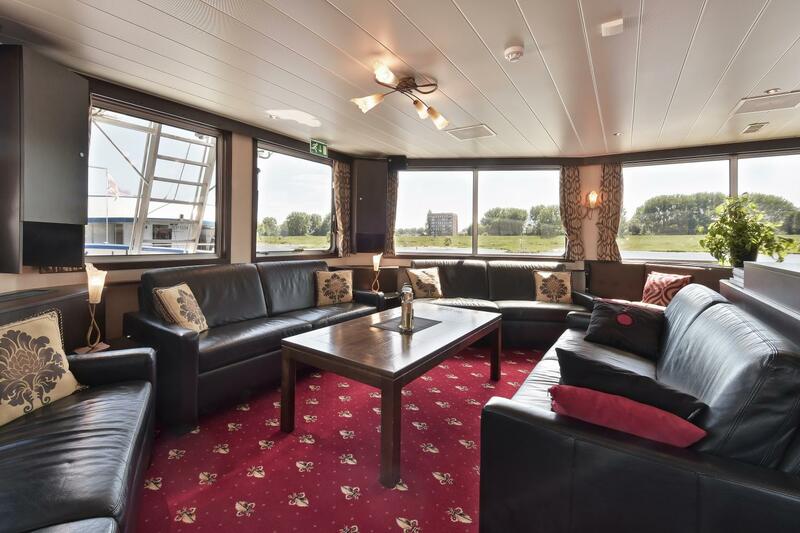 The C cabins have a double bed that is free on one side to get in and out, the bed in this cabin is raised and there is a step for getting in and out. In the triple cabin is a single bed and a bunk bed, all other cabins have regular fixed single beds. 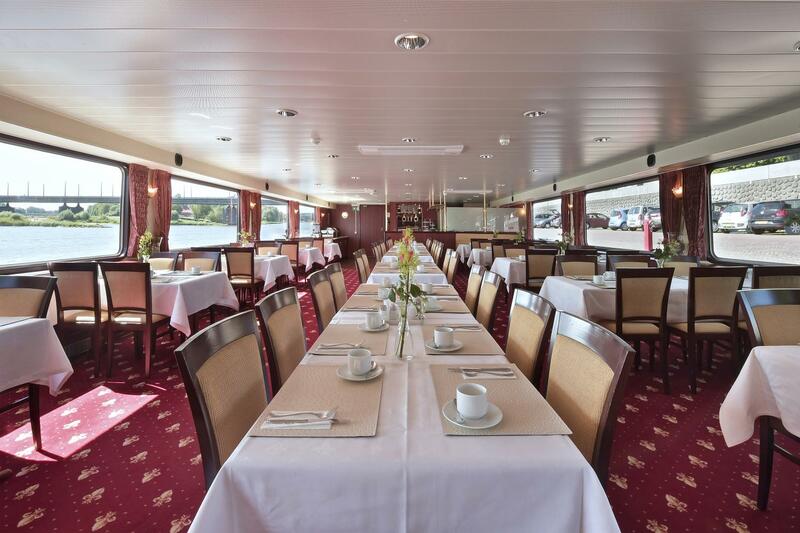 The cabins on the Promenade Deck are ideal for people who have less mobility. 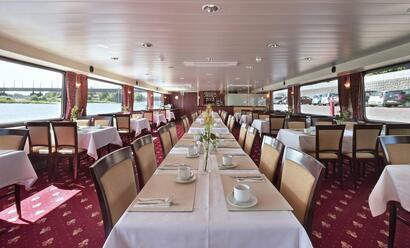 Breakfast and lunch are served from the extensive buffet in the restaurant. 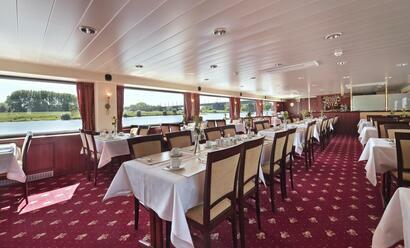 The attentive crew serves dinner at the table, here you have a choice of two main dishes every day. They are ready to provide a tip-top experience. 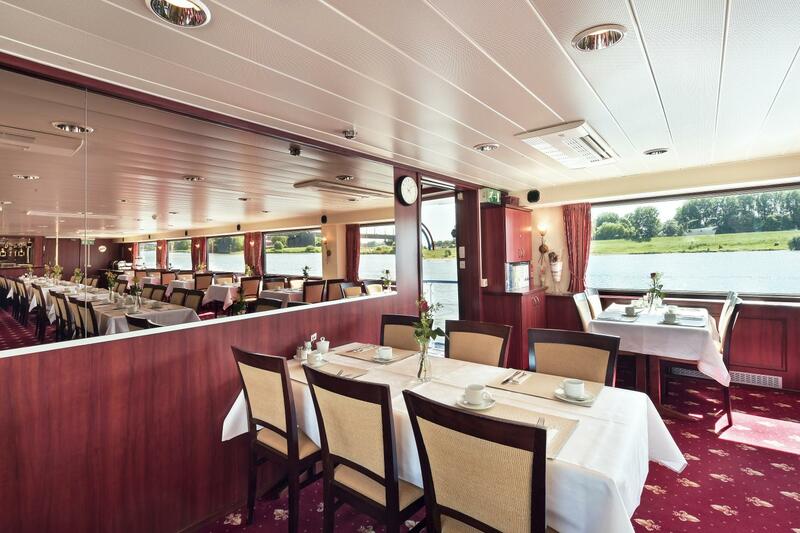 Consumptions on board are booked on your cabin number, so that you can pay at the end of the cruise with cash or with a bank card (it is not possible to pay by credit card). Excursions and souvenirs can only be paid in cash. 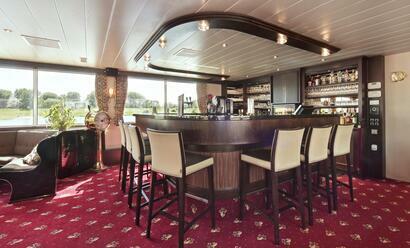 There is free Wi-Fi on the entire ship (limited reception) in all countries. Owner of the m.p.s. 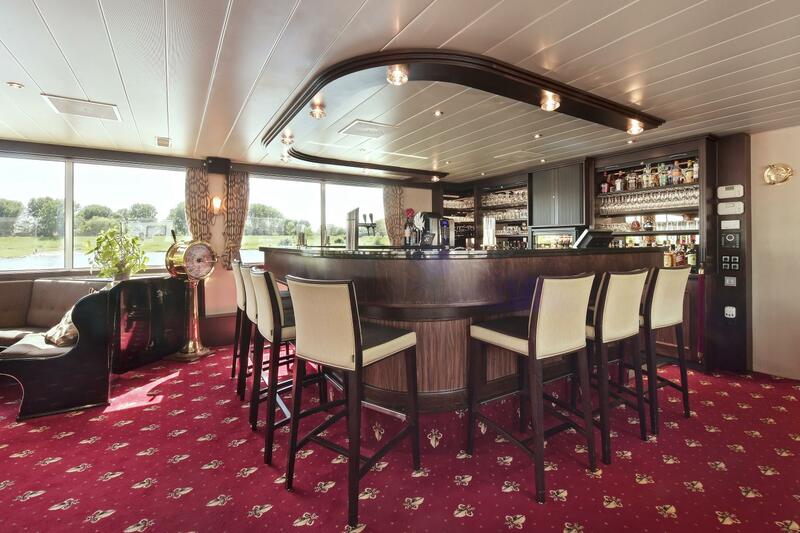 Azolla and exporter of the cruises with this ship is Vranken River Cruises B.V. - Arnhem.